Because giving back means so much. Since our founding in 1935, we have held to one important belief – helping the families of our community. This extends far beyond assisting in times of sorrow. It means continued involvement. Visit our Event Calendar page for more information and schedule of community events. We are thankful for those who serve to protect our freedom. We believe it is important to honor veterans past and present. This is why we have conducted a Veterans Memorial Service every year, since 1968. Held at our St. Charles Memorial Gardens on the Sunday of Memorial Weekend this moving and patriotic day is an important event attended by many every year. 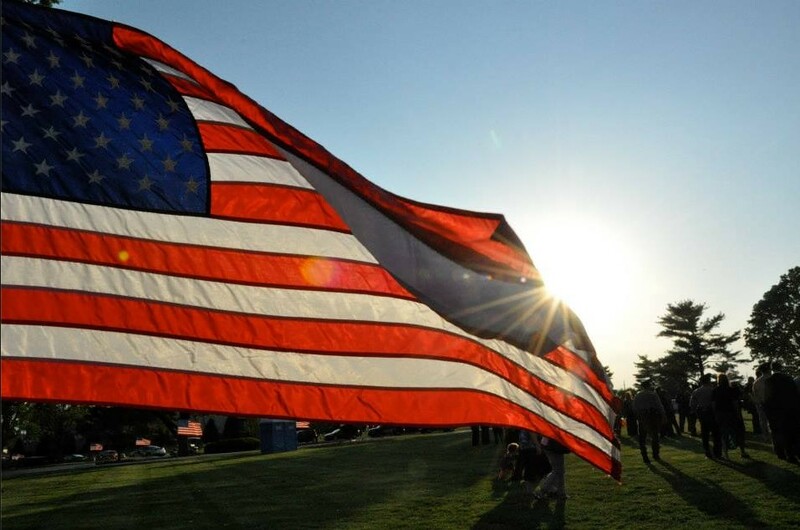 We invite you to join us this year with your family as we honor these brave men and women. Arthur C. Baue was instrumental in bringing the Salvation Army to the region in 1958. Baue was founded on legacy of giving back to the community and helping those who need it the most. We are much more than a business, we are a part of this great community and will continue to support it for residents and future generations. 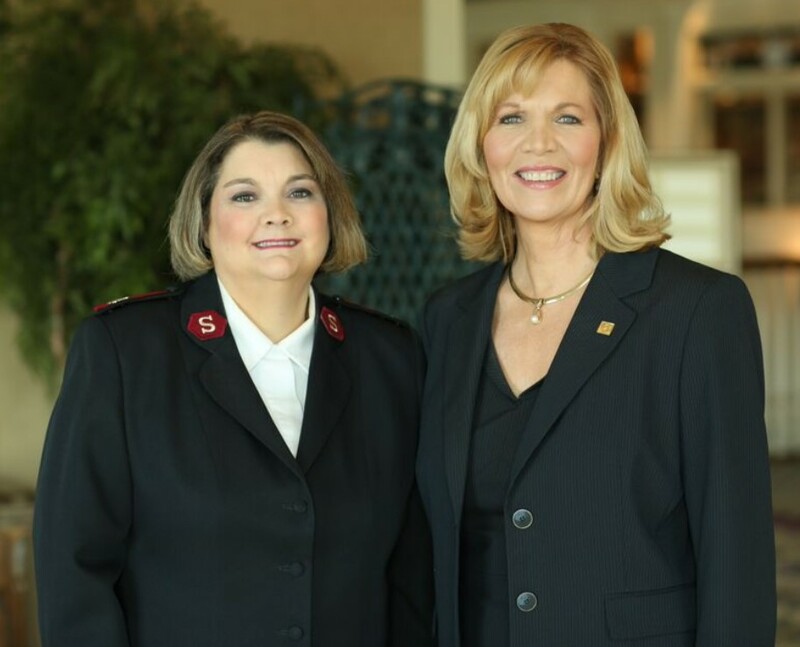 Continuing the commitment to the Salvation Army Lisa Baue has served on the board. 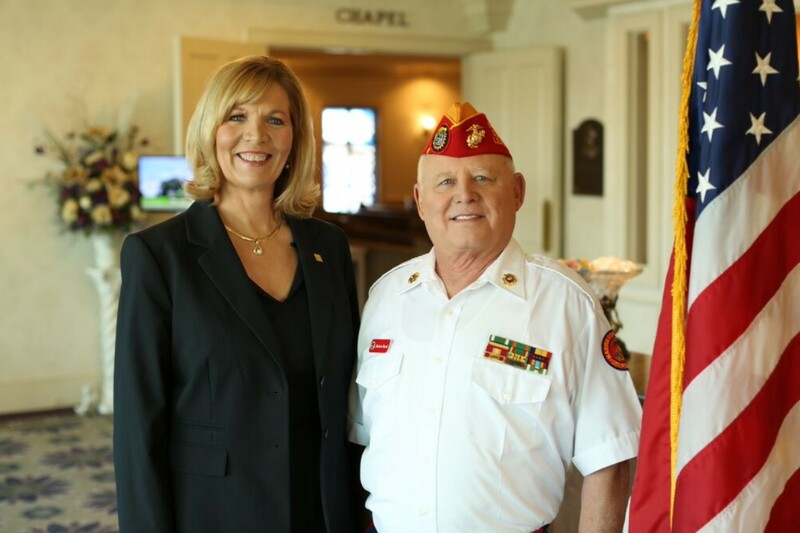 Today her son, John Baue Devaney, is currently a board member for the organization and continues to support their mission of helping families in the community. Building a strong community takes the time and commitment of the family owned businesses that reside in St. Charles County. That’s why Lisa Baue and past generations have been active community members and leaders. 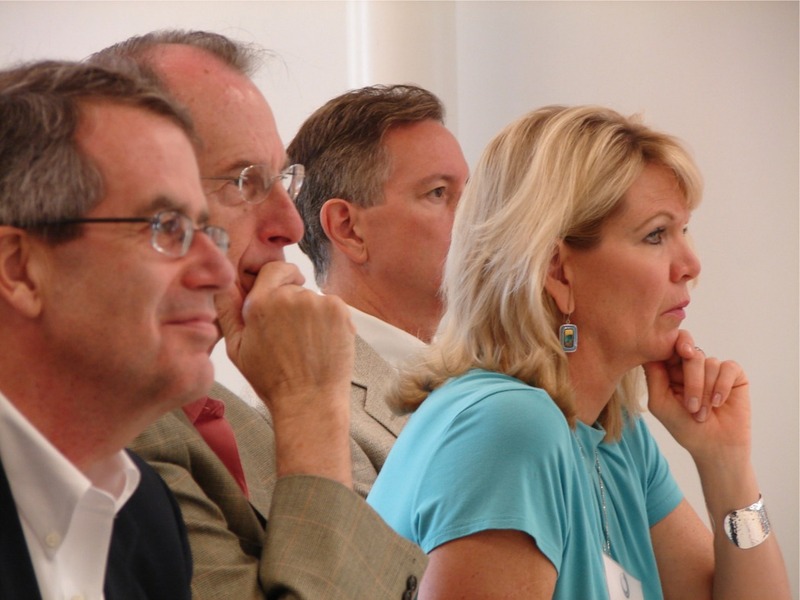 Lisa Baue has served on the board of the St. Charles Economic Development Center for many years to support the overall growth of the area for all of the residents and future generations. Baue offers a creative approach to bringing this important message to the community. Our “crashed car float” is available to schools and other organizations for school homecoming parades, community parades and picnics. Our staff also teams up with area fire departments, police, EMS personnel and schools in presenting pre-prom programs. Teams re-enact, sometimes with gruesome reality, a drunk driving accident – with a Baue hearse and staff on the scene to “remove” the student “killed” by the drunk driver, another student. Developed in 1996 for the 60 and better group in St. Charles County and beyond, the Silver and Gold Club is one of the largest senior social groups in the area, averaging more than 200 people per event. Learn more about Baue’s Silver & Gold Senior Club of St Charles County. Since 1992 we have held this special memorial event for the men and women of law enforcement who serve our community and put their lives on the line to keep us safe. Sponsored with the Peace Officers Memorial Service Committee and held at Saint Charles Memorial Gardens, we feel this is an important acknowledgement of these brave citizens and all they risk for our safety. Held every year in June this event helps transition into the new season of Spring and Summer with a symbolic remembrance of a lost loved one. 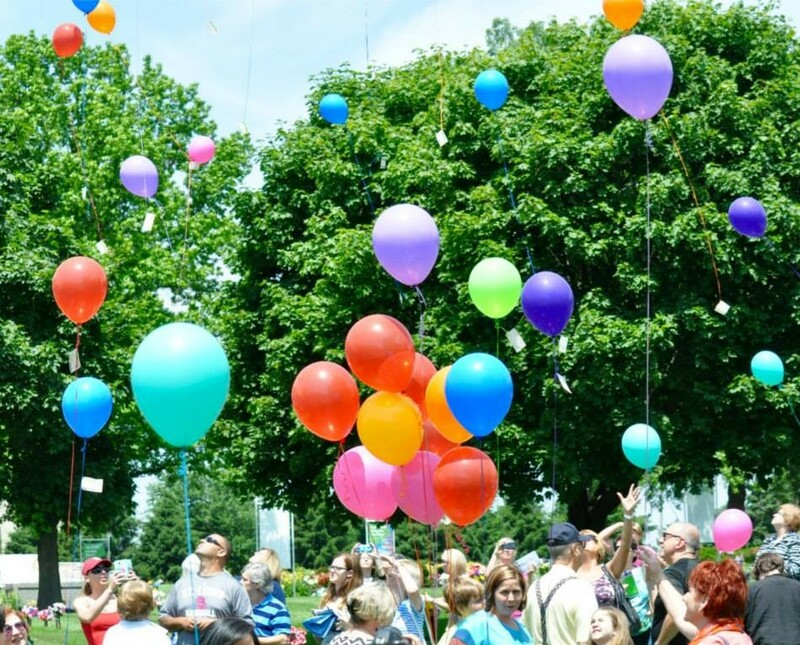 Each program includes the reading of names, educational information about the grief process, a beautiful balloon release and keepsake gift. 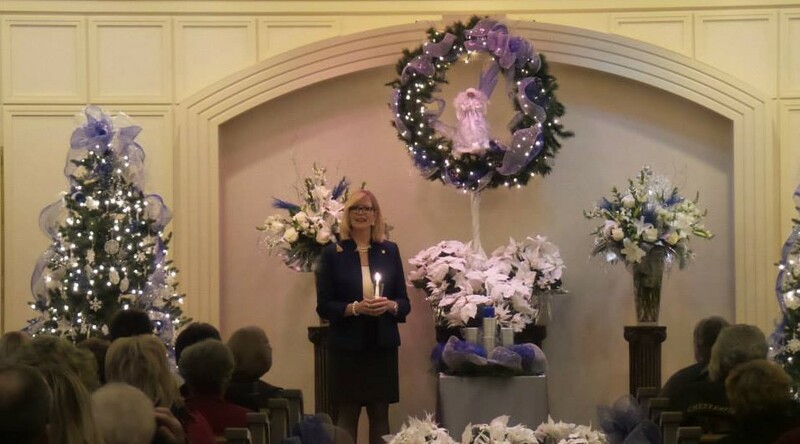 Held every year since 1987, Baue has provided a free holiday grief program to the community. “A Holiday Remembrance” is a special program presented by Baue family and staff which addresses the difficult emotions that arise this time of year and explores meaningful ways to process these feelings. We encourage you to attend this holiday program with your family to honor the life of a loved one. Each program includes heartfelt moments and ends with a healing memorial candle lighting ceremony. Many people have questions about the subject of death, which is why we bring our education programs to the community. Baue’s Grief Services staff teaches a series of education and support classes. Programs are available free of charge and are held at our Family and Community Center at 608 Jefferson Street, next door to our St. Charles Funeral Home. To see the current class schedule, click here. Every October, Baue sponsors a Community Seminar presented by noted author, educator and grief counselor, Alan D. Wolfelt, Ph.D. Dr. Wolfelt serves as the Director of the Center for Loss and Life Transition in Fort Collins, Colorado. Each April, Baue locally hosts the National Hospice Foundation’s live-via-satellite teleconference. The teleconference presenters are always respected experts. This program is always well attended by professionals from the St. Louis metro area. C.E.U.’s are offered for many professional disciplines. Baue appears at school, health, and senior fairs and other community events throughout the year to distribute materials on community and grief services, funeral and advance planning information. There are also three free-standing tents and several water coolers available for groups to use at picnics, etc. The tents and coolers, complete with Baue logo, are offered at no charge and on an as-available basis. Tours of the funeral home are available to any group for educational purposes. These tours can encourage open discussions on death-related topics and spirituality. Groups of any age are welcome to schedule a tour. These tours can be especially valuable experiences for teens. Many church youth groups and schools schedule an annual tour for a specific grade. We offer complete grief resource lending libraries in our St. Charles funeral home and our Funeral & Memorial Center at Cave Springs. Baue is proud to annually sponsor a number of youth and adult sports teams throughout the St. Louis and St. Charles region. A nationwide campaign designed to get families talking about their lives, interests and wishes. You can have the talk of a lifetime with anyone you hold dear — your parents, grandparents, aunts and uncles, a spouse. It can happen anywhere you and your loved one are most comfortable — over a meal, at home, on a walk, while playing a game. The talk can be between you and your loved one, or you could include others, like family or friends. Your conversation can take place at any time — not just at the end of life. Contact us or click here to learn more. You and your family are invited to attend our annual events, ongoing support groups, grief classes and more. We encourage you to view the calendar to find out about the next event we are sponsoring or conducting.